Are you ever curious about the exoticism associated with international rosasters' coffee? One benefit of working in a cafe is that friends traveling the world will always return with some coffee to share. For that reason, one of our desires at Coffee Potluck is to share both local and international roasters at our events - this helps us learn from others and keep our finger on the pulse for what's going on out in the world of coffee. “This should exist, we need to have Hasbean here”. We texted Steve immediately, and asked for some special competition coffee – no luck! 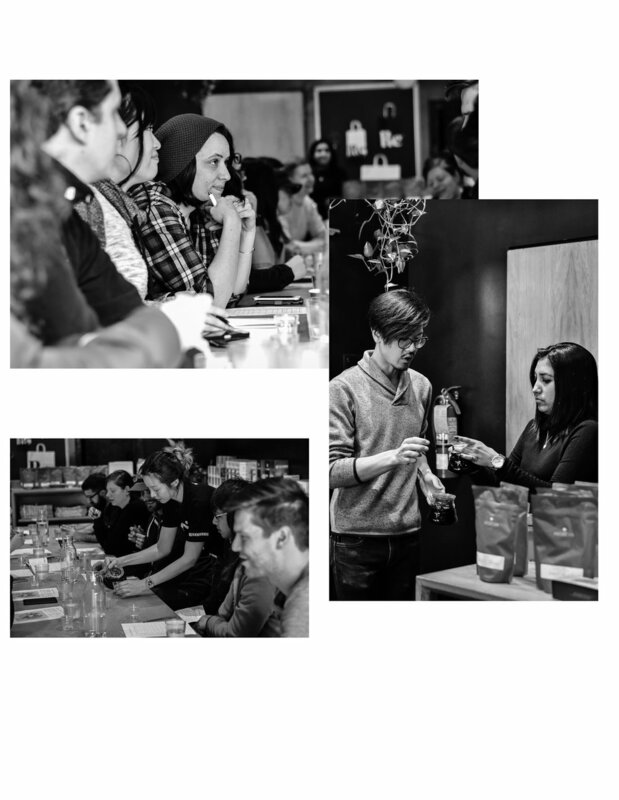 Coffee Potluck loves celebrating coffee and inspiring taste discovery. The perfect story could be told & tasted through the farms in Steve’s book, Coffeeography. We sat down to hand-select each of the tasty coffees – and by golly, if you have seen the Hasbean tasting notes, they are real-life animated! -- hubbabubba, hob nob, and mars bar to name a few. After months of piecing-together, we flew the books out and the coffee arrived in Canada via Stafford AKA Has bean home-base. What followed was a small fight with Fedex and the clock, the fight was fierce. In the end Coffee Potluck persevered and the princess was rescued; by that we mean the coffee. Sunday, Archive by Revolver was once again designated the Coffee Potluck (CP) hangout. This time the books along the shelves and the dewey decimal frames lining the black-washed walls set the tone for any reader ready for twelve straight coffees. Twelve coffees, two-by-two, they were brewed and slurped. 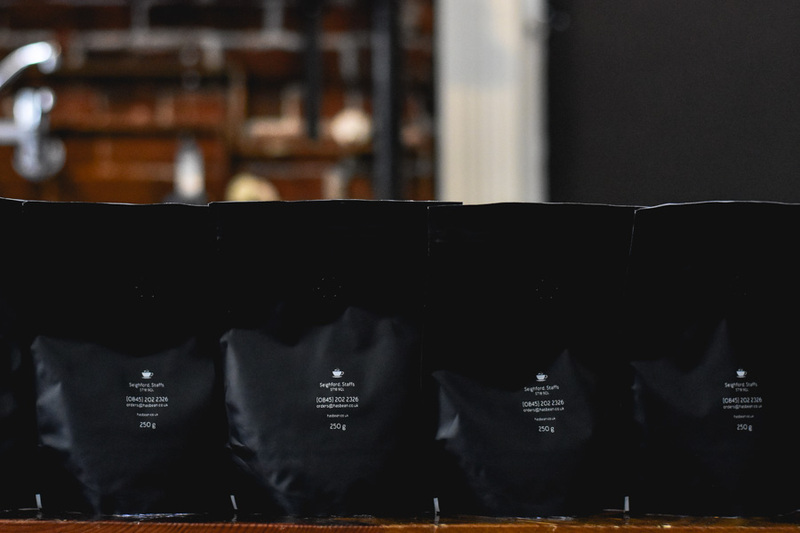 We told the story of that time Steve hosted a Finca Limoncillo tasting with 24 coffees from one farm, and another time when we talked about the challenges of Bolivian coffee farmers. All in all, there were stories of people, coffees, and palates that we hope came to life on Sunday. For all who came along for the ride, thank you. Thanks to our event hosts, Revolver & Hasbean Coffee. A great deal of love goes in to coffee, and our community of pros are well-deserving of tasty coffee events. Next up, folks! Eight ounce will be hosting the Coffeeography tasting next Saturday the 7th of April. This is the first chance we've had the ability to share a similar taste experience between Calgary and Vancouver. Drop by to say "hi" to Andrew! - He's also the happy face turning your beans brown at Monogram. Enjoy good coffee, stay curious!